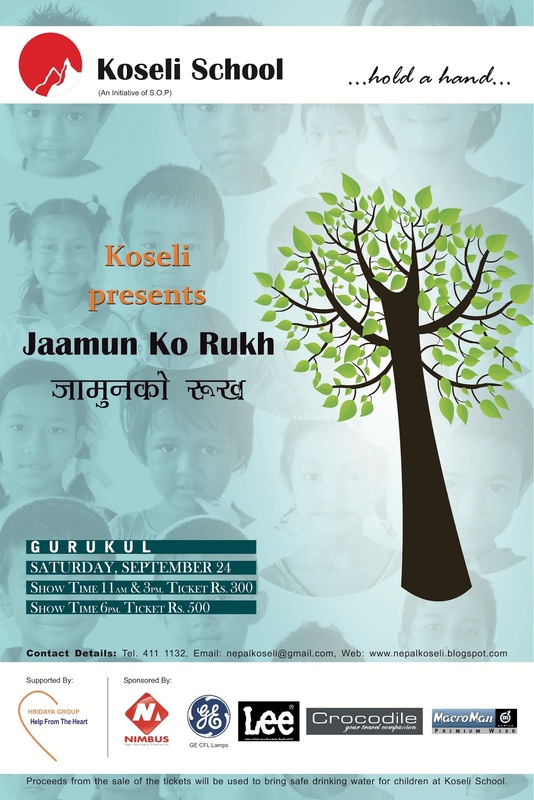 "Jaamun ko Rukh" a play based on the story by Krishna Chander is going to be performed by Koseli children on 24th September at Gurukul. It is a dream born out of a casual conversation which took more than six months to shape up. The play is coming along very well under the expert guidance of the director Rabindra S Baniya and asst. director Ram Hari Dhakal. We are hoping that lots of people will come to watch the show and encourage the kids on their debut performance as actors. The actual reviews will follow after the show so continue to follow this space. 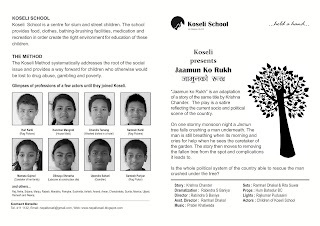 Each and every child at Koseli had an overwhelming background story which touched my heart yet sent shivers down my spine. I walked in, not expecting beautifully well- mannered and polite kids. As one of the twenty million ‘Art of Living’ volunteers all around the world, I was here to take a five day program called ‘Bal Chetna Shivir’. This workshop is a practical week of experience and knowledge.Through play and fun and laughter, children learn to enjoy every moment, being in present moment.Yoga and breathing techniques help to eliminate fear, anxiety, depression and negative emotions.Meditation taps the hidden resources. They learn to share with others, work and play in harmony and develop sense of belongingness. A chorus of voices welcomed me with warmth. We took off with ‘fire in the mountain’ and ‘birdie dance’. It was a huge hit amongst the kids. The natural and joyful nature brought out the child in me. Their eagerness to learn made me more sincere. Sixty smiling faces listening attentively made me a better speaker. The game times made me more alert than ever. When asked to close their eyes and remain quiet during the Pranayam and Meditation, they become as still as rocks, so peaceful, so calm. The children’s creativity showed up during our drama sessions. They acted with such enthusiasm and profound detail that it amazed me. At the end of the ‘shivir’, I tried to find the answer to my question. Was I here to teach them something or were they teaching me? What an amazing place - Koseli School!! During my time as a volunteer at Koseli, I realized that everything in life is a gift and this wonderful school, safe haven, is a gift to all these children whose needs are most basic in life. These kids do not ask for much. It is amazing how easy is it to please them – only a smile and some attention, that’s all they ask for! Incredible! this experience was definitely an eye opener for me. I assisted three kids with their skills on one - to - one tuition bases and also taught English to Class 3 students. I was amazed at how well some of the kids could read, write and spell words in English and how eager they were all to learn. 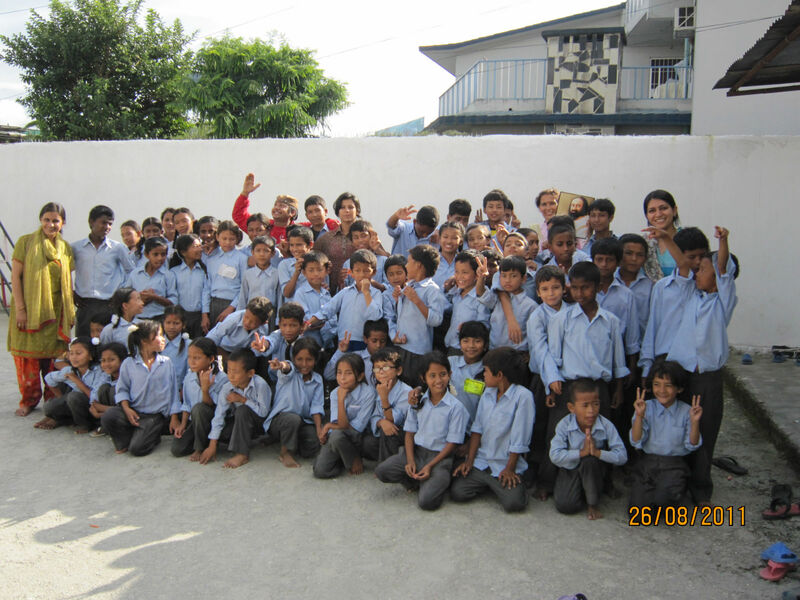 One of the kids Santosh Pariyar, I supported is an incredibly enthusiastic student. Santosh is 12 years old and finds the English language quite challenging. I supported him with his reading and writing of English. On the first day I could see he struggled with reading, he had to spell the words out to pronounce them and even then he pronounced them wrongly. I helped him with his pronunciation of words and also with the spellings. It was awesome to see how positive and willing he was to learn. In between the lessons if he was asked if he wanted a few minutes break, he always replied “No Thank you”. What a satisfying feeling it was to see his face lighten up every time he pronounced words correctly. 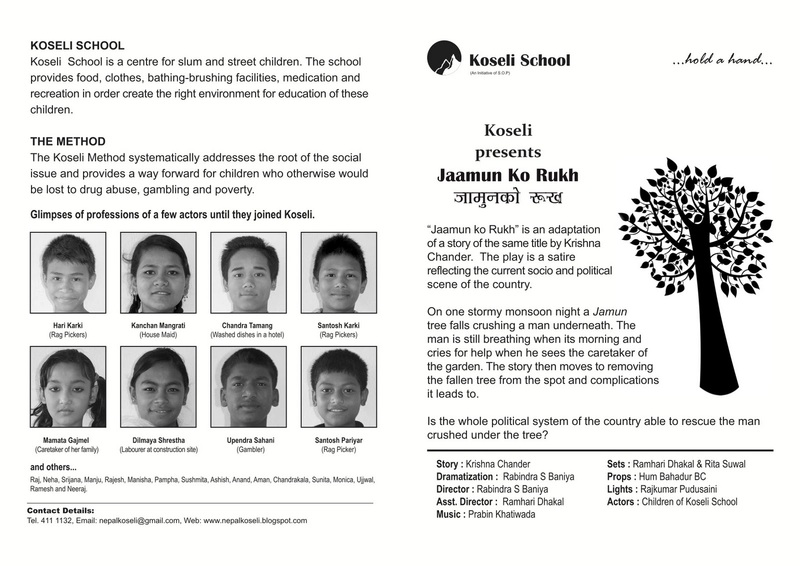 Santosh was a rag picker till he joined Koseli. After his father’s death he took to picking rags from piles and piles of filth and sell them to scrap buyers in the valley to buy some food. Soon this became a habit and even now so many times he leaves home to go to school but gets lost some where mid way and then he can be spotted with other street kids picking rags. The school makes sure that he reaches school every day for once he reaches school he is like any other happy kid with dreams of a better tomorrow in his eyes. It was awesome to experience the improvement in Santosh’s English reading and writing skills. I wish him all the best for his future.